People have mixed feelings about euthanasia. Some cat owners say euthanasia isn't "nature's way," or others say euthanasia is for "selfish" reasons. Many tell themselves, "I should have tried harder," or "I should have been willing to do more, spend more, get a second opinion, stay up all night to take care of her." Yet the person who worries most about not having "done enough" is often a person who has already gone to superhuman efforts to care for that cat. Making the decision to euthanize a beloved cat is sometimes the most loving, humane choice. 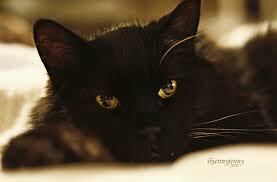 An unintended form of selfishness can often be inhumane - prolonging a cat's suffering simply to postpone one's own grief. How will I know when it is time to consider euthanasia? 1. Does my cat eat? Dramatic change in appetite or drinking may indicate irreparable decline. 2. Is my cat in pain? 4. Can my cat walk? Can my cat support his/her own weight? 5. Is my cat capable of relieving him/herself on his/her own? 6. Am I finding my cat in unusual places, or shivering? 7. Has my cat been diagnosed with a terminal condition? 8. Does my veterinarian think my cat has a reasonable chance for recovery? 9. What is my veterinarian's opinion on my cat's quality of life? 10. Can I provide/afford the necessary level of care? Do I need proof of sickness, or my veterinarian's permission to make a euthanasia appointment? No, those are not necessary. Dr. Rowell has learned over time that the best person to know when it's time to consider euthanasia is the person who loves the cat and knows more about the cat than anyone else. As a professional veterinarian, Dr. Rowell can help you understand your cat's medical condition. The euthanasia decision can involve other factors, however, including your cat's quality of life, required nursing care and even finances. It is always your decision and Dr. Rowell will support you when you arrive at this painful and difficult decision.